In a bold response to the ethnic and religious agitations that sometimes bedevil the country since the first republic, an initiative tagged ‘ANISZA’, a visual art project aimed at promoting unity among Nigerians especially young citizens will be formally launched in Abuja on October 1, according to organizers. Miss Novo Isioro, the coordinator of the project disclosed this to journalists at a news conference Tuesday while announcing activities lined up for the launch of the initiative timed to coincide with Nigeria’s 58thIndependence Anniversary. According to Isioro, “we have seen contestations among adherents of the various religious and ethnic groups in the country. There have been tensions that have been generated because of our differences. But I think that this diversity should be celebrated and not be a problem. “So I just thought about this tendency towards disunity, and as a visual artist, I understand how image tells the story more than words. 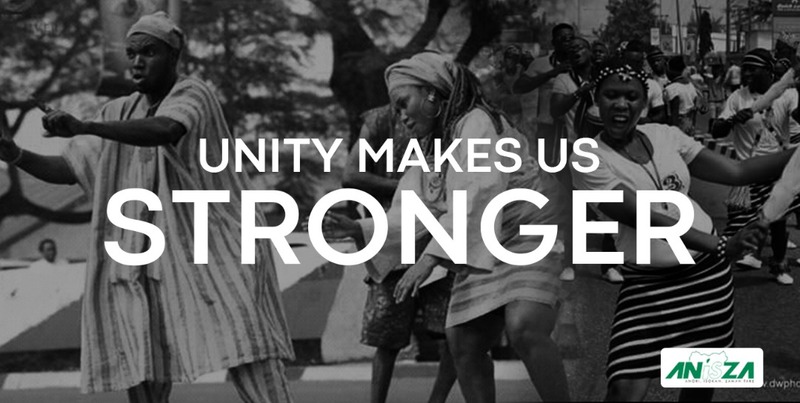 So, I thought that we should use pictures to tell the stories of strength in diversity. She said: “We are collaborating with state governments and federal ministries to take this gallery to schools in their domain to get as many children as possible to benefit from the project. But we are also having an online platform that we will use to keep the message alive. “But for October 1, we are inviting students from schools across the country. We plan to host the students for three days during which there will be a symposium, an exhibition and a mini-tour,” according to Isioro, who is SA Visual Communication & Personal Photographer to the Vice President. Other partners in the project said the initiative would bring to live forgotten values and the essence of maintaining Nigeria’s heritage for the purpose of promoting unity. The Managing Editor of Daily Times, Mr Melah Bonaventure said the issue of unity in Nigeria is important and as such “Nigeria needs patriotic citizens more than oil because the problem of unity has to come first of all from lack of patriotism. He said: “No country can achieve greatness when the citizens don’t love the country. On his part, Dr Mayo Adediran, a former top FG official on Museums & Archives now a Consultant, said preserving Nigeria’s cultural heritage was as important as promoting the country’s economic potentials. President Muhammadu Buhari is expected to declare the exhibition open next Monday October 1.